Backstory: Days come and days go, but Drake doesn't. He's been dominating the charts since 2009 and has captured your teenage hearts as wheelchair Jimmi on Degrassi. Despite his emotional tendencies to cry over women from his past, there's no denying the 6 God loves to laugh out loud, especially in some good company. Don't simply be happy, be a happy Drake. 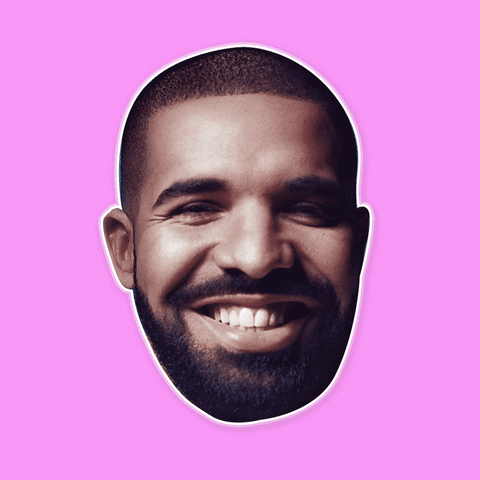 🤩DON’T JUST WEAR THE CELEBRITY, BECOME THE CELEBRITY - Days come and days go, but not Drake's bearded smile. The 6 God loves to laugh loud. Become a hairy & happy Drake at your party, festival, and Halloween.